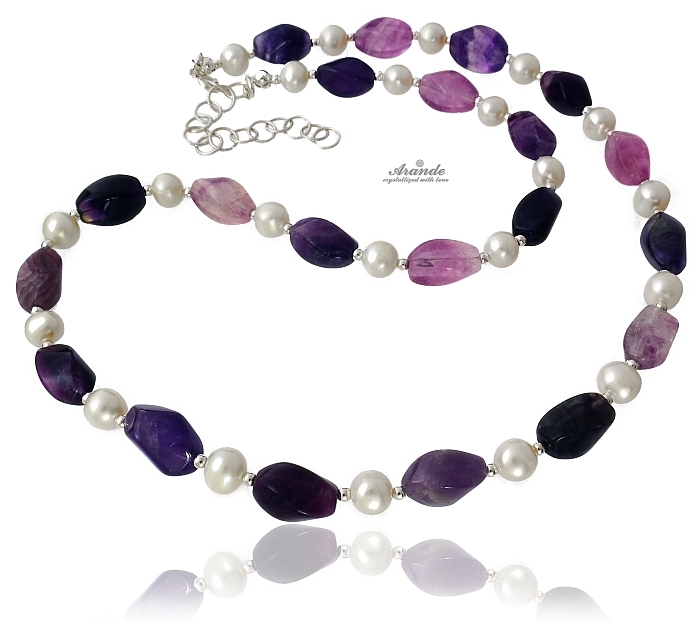 Beautiful silver necklace with genuine pearls and natural fluorite gemstones. 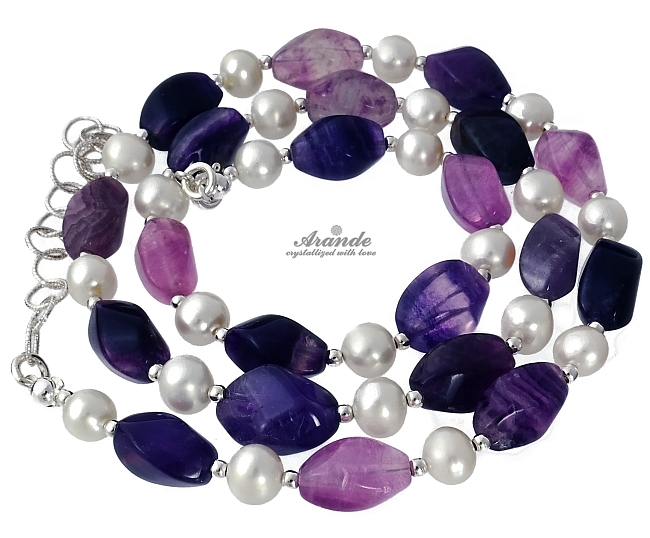 These genuine pearls come from natural freshwater culture raised 3-5 years in pearl shells. 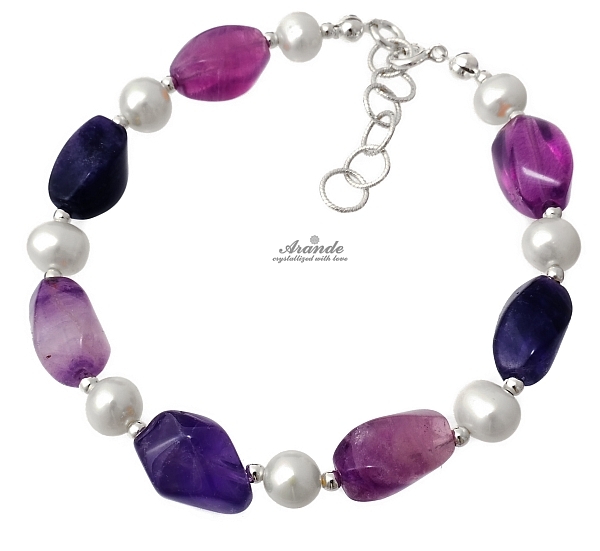 Added with natural fluorite gemstones in characteristic violet colours. Unforgettable jewellery for any occasion. It can be central element of your style or may be a perfect gift for your significant other.